Khwaja Habib Ali Shah was born in a Sufi family, whose lineage is traced back to Abu Bakr, the first Caliph of Islam, his ancestors were Sufi masters. From SHazrat Syedna Abu Bakr Siddiq ra, the forefathers of Hazrat Pir Khaja Habib Ali Shah obtained the spiritual education (Tassawuf/Tariqat) and bestowed with Caliphat from their fathers. Pir Tariqat Sheikh Hazrat Sayyid Ali Razvi al Madani ra is the maternal grandfather (Nana) of Hazrat Pir Khaja Habib Ali Shah ra. He was a man of great piety and was a great wali (Sufi) saint. 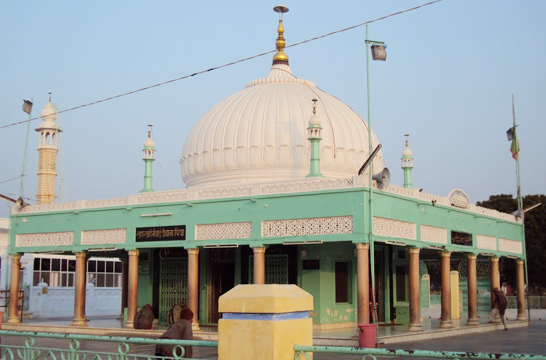 It is said that the birth of Khwaja Habib was foretold by the Sheikh himself, who remarked that "his" son would be born in the home of Nawaab Ahmad Yar Khan (Mohi ud dowla). At this stage the mother of Hazrat Khwaja Habib Bibi Amatul Fatima was beyond child bearing age, but since the sheikh had spoken, they believed that Allah willed otherwise. As predicted by Hafiz Pir Dastagir 2 years later, a male-child was born as the fourth child of Nawaab Ahmad Yar Khan, as family tradition who was named Habib Yar Khan. At this tender age Khwaja Habib formally began the process of acquiring external as well as internal knowledge. By the age of six, Khwaja Habib would retire to the garden house, in a state of wudu, facing qiblah covering his face with a cloth would indulge in Muraqabah, in total privacy. By the age of nine, Khwaja Habib made it a consistent practice to be in a state of wudu. The obvious signs of wilayah that had manifest had an impact on his parents and other family members. 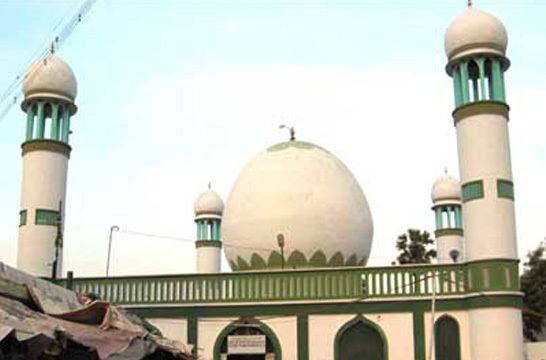 After studying the Quran and the acquisition of the basic knowledge of Shariat Khwaja Habib was formally initiated into Tariqa by Al Marifah Hazrat Hafiz Mohammed Ali Shah (Hafiz Pir Dastagir) Khairabadi. Khwaja Habib took the bayath on the hands of his Pir at the age of sixteen years six months and eleven days on 30 Moharram ul Haram 1252 H.
Shah Deccan Qutub Konkan HazratPir Khwaja Habib Ali Shah ra died at Bombay, India on Thursday, 6th Dhul Hijjah 1323H, Thursday 1st February 1906 C.E., in the Khanqah which was established by him, a learning centre in Dockyard Road, Majgown, Bombay, India. It was decided that his body be taken to Hyderabad for burial by his second son Sajjadah Nasheen Hazrat Pir Hafiz Ali Shah (RA). He was buried at the spot he identified, in Kattalmandi then Ahmed Bagh, Hyderbad, India.